You really think you're too busy for meditation? How about that time you spent watching reality TV, or gossiping about office politics? You can make use of your time more wisely with one of the many meditation apps if that is what it takes. Simply Being, for example, lets you choose a 5, 10, or 20 minute guided meditation with voice, music, or both so you can meditate even when your boss is running late for a board meeting. Studies have shown that meditation just ten minutes a day reduces stress, lowers cortisol levels (which make one fat and sick), and improves your outlook on life. Our days aren't a solid wall; they are more like Swiss cheese with holes in them. Use one of those holes to meditate and you'll feel better, look younger, and actually have the energy to attack everything on your to-do list. You say you're no expert at this "sitting" thing, so why should you waste your time trying? Many novice meditators mistakenly believe they have to be good at it, but the truth is meditation has a profound affect on our brains, even if we've never done it before. If it's choice between the gym and a meditation after a stressful day, you might want to choose meditation. Why? You can build some serious muscle with meditation. Brain muscle, that is. Though exercise is also a mood booster and stress reliever, at least one study reports that meditation practice could increase that size of various brain structures, including brain areas involved in sustained attention and emotional regulation. Of course meditation won't burn enough calories to get rid of that extra piece of cake, but it will lower cortisol levels, which can make it easier to get rid of belly fat. Research suggests that our guts go into fight or flight when we are stressed, causing the actual enlargement thereof, while meditation calms this nervous system response. If you have time to exercise - then you have time to meditate. Having too much to do can cause anxiety, and prolonged anxiety can fry your adrenal glands, causing adrenal fatigue and other hormonal problems. 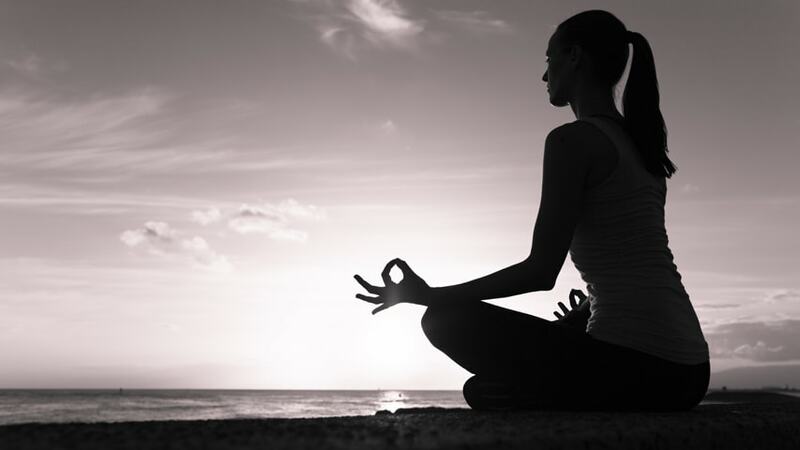 Luckily, Harvard Medical School found that meditation does wonders for anxiety and depression. In a study of yoga and meditation, some very physical proof that anxiety was lowered with meditation presented itself. Heart rate was reduced an blood pressure was lowered. Respiration rates were lowered too. Before and after pictures of people who have meditated are provoking. They look younger, happier, and more refreshed after "giving your problems space and finding the most wise and compassionate ways to handle them." There's a reason why experienced meditators live so long and look so young, "says Eva Selhub, MD, medical director of the Mind/Body Medical Institute. It primarily has to do with reducing stress. Through there is little direct research on meditation and aging, one 1989 study of residents in nursing homes showed that those who practiced transcendental meditation had better mental flexibility and lower blood pressure, and lived longer.